This is a guest post from Hannah Corbett, Inbound Marketing Manager at SEO agency, EdgeThreeSixty. When it comes to the world of inbound marketing, industry jargon and confusing terminology are abundant. Even the number of abbreviations and acronyms alone are enough to confuse any newcomer. That’s why it’s always useful to have a dictionary or glossary to hand, to ensure that you properly understand all of the terms you come across. We’ve created a dictionary of inbound marketing terms, below, to help you to do just that. Serving two (or more) versions of the same landing page to different users to test which performs better. A page on an inbound marketing agency’s website that tells their customers or readers their story. Usually refers to a piece of software that is used to track user behavior on a site, as well as overall site performance. The clickable text in a hyperlink, known to be a ranking factor for search engines. A set of programming instructions that allow the creation of applications. When a user visits just one page on your site and then leaves. The percentage of total website visitors that bounce. A business that sells its products and/or services to other businesses. A business that sells its products and/or services to consumers. A made-up profile of an example target customer. Encouraging a website user to complete an action – often in the form of a clickable button. A series of actions and efforts carried out in cohesion to achieve an overall marketing objective. An overlay on a webpage that shows where users have clicked. Colors are used to represent the volume of clicks in a single area. The number of users that clicked on something out of the overall number that saw it, displayed as a percentage. An application which allows non-technical web users to easily manage the content on their website. For example, WordPress or Umbraco. A marketing strategy that is centered around creating high-quality content assets. When a web user is converted into a paying customer. The number of users that converted, against the overall number of users on a site, displayed as a percentage. The practice of making changes to a website in order to improve its conversion rate. A license allowing the free use and distribution of media. Typically refers to a piece of software that manages the sales funnel and relationships with customers. Can also refer to strategies and practices to do with managing customers. A platform that provides blog commenting functionality and management. The practice of sending out emails to a list of targeted recipients in order to aid with overall marketing efforts. When a user leaves a website or page. Assigned on page-level, the number of users that leave the website whilst on this page, against the overall number of visits to this page, displayed as a percentage. The name given the imaginary line that divides the top and bottom ‘haves’ of a webpage – defined by screen size. For instance, anything ‘above the fold’ is visible immediately when landing on a page, and anything ‘below the fold’ must be scrolled down to. The journey outlining the steps customers take from first interacting with a business, to becoming a customer. Content that must be ‘unlocked’ to be accessed, typically by submitting an email address. Used as a way of collecting customer information. A piece of content that is submitted to a site by a third party, ‘guest’ author. HTML elements that are used to format and structure the content on a webpage, with H1 being the largest and most broad, overall heading and H6 being the smallest and most specific. A metric used to measure the number of times that web users saw a certain thing on a page. For example, a listing in a search engine results page. A link to a site from an external third party site. Also referred to as backlinks. A series of practices and strategies designed to draw prospective customers to a business (as opposed to ‘outbound marketing’). When a search engine has crawled a webpage and stored it, in order to return it to users for relevant searches. An expert in a particular industry or niche, who has an influence over others in that niche. Often influencers are the targets of social relationship marketing. A link from one page on a site to another page on the same website. Metrics that are used to give an indication of progress or regression – usually these are not the core metrics measured against targets, but are used support overall patterns and trends in data. A search term that is chosen as the main focus of a webpage. ‘Head term’ keywords are the broadest and popularly searched, whilst ‘long tail’ keywords are more specific and less commonly used. The first page that a user visits on a website – the page they ‘land’ on upon entering the site. A web user who has moved down the conversion funnel by completing an action or goal (such as filled in a contact form), who can now be converted into a paying customer. Activities and techniques used to increase the number of leads that a website gets. Bringing a lead closer to the point of fully converting. The practice of acquiring inbound links for a target website. Data, in the HTML of a web page, that tells search engines what that page is about. For example, meta title and meta description. A piece of meta data that tells search engines and users what the title of the page is. This is the heading that is displayed in search engine results pages (SERPs). A piece of meta data that gives search engines and users a summary of what that page is about, This is the description that is displayed in search engine results pages (SERPs). In email marketing, this is the number of recipients who opened your email out of the total number of recipients, displayed as a percentage. This identifies anything pertaining to organic search engine results which are not ads or paid for. Typically used in contrast to ‘paid search’. A link going from a website to another external website. As opposed to an ‘inbound link’. A collection of practices and techniques whereby a business places itself in front of its target audience (as opposed to ‘inbound marketing’). A metric that measures the number of times a page has been viewed by users, including multiple views by the same user. A term referring to Google’s paid advertising services, including pay per click (PPC) adverts and the Goole display network. Typically used in contrast to ‘organic search’. The name of the ads that can be seen at the top and bottom of search engine results pages (SERPs). 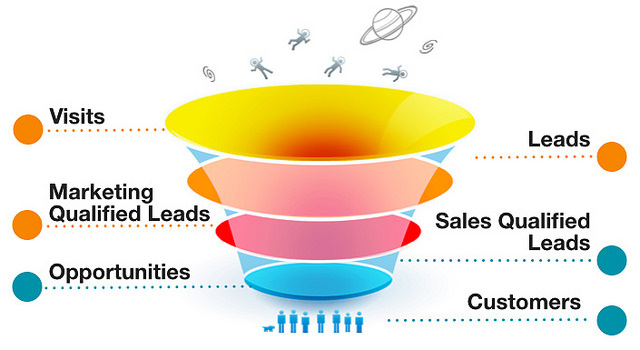 A lead that has been vetted as relevant to the business and deemed ready for the next stage of the conversion funnel. A way of measuring the value that a set of activities will bring back to the business. A map of a web page that uses color to show how far down the page users scroll. This kind of tool is useful in conversion rate optimization (CRO). A set of marketing practices designed to utilize paid and organic search channels. The practice of optimizing a website to rank well in organic search results. A page that is returned when a user performs a search on a search engine, resulting in a list of pages, images, etc that the engine deems to be the best match for the query. A word or phrase that a user inputs into a search engine. A page on an inbound marketing agency’s website that displays the services they offer. Here’s an example Effective Inbound Marketing Service Page. A metric that refers to a user’s visit on a website. Page sessions do not count multiple views of the same page during one visit. A list of the pages and content on a website. XML sitemaps are typically for the use of bots and crawlers, and HTML sitemaps are for the use of humans. The practice of marketing to a target audience via social media platforms. A page that a user is directed to after completing an action on a website (such as filling out a contact form). A metric that measures the average length of time that users spend on a particular page of a site. The overall number of users that a website or webpage received in a given time frame. A person online. For instance, a website user would be someone who goes on a website, or a search engine user would be someone who completes searches on a search engine. This refers to the experience a user has on a website. It can involve how easy they found a site to navigate, and their impression of the overall design. The steps that a user takes on a website, typically to complete an action (such as fill out a contact form). A marketing technique that encourages consumers to share information about a company, product or service online – often on social media. Another name for a user who visits a website. This is a metric that looks at the number of overall visitors to a site that are converted into leads, typically expressed as a percentage. While this list is barely complete on its own, it’s aim is to assist marketers with terms they might have a headache with. You can also add your own terms (we don’t mind if you just coined it, so much as it adds value and makes sense) by dropping a comment below.